Hartsville, S.C. – August 20, 2018 – The Cecelia Coker Bell Gallery presents the work of Canadian artist Kim Bruce. Bruce’s exhibit of mixed media sculpture, titled “Disbound,” opens Monday September 24, with a reception in the Cecelia Coker Bell gallery from 7-8pm. Light refreshments will be served, and the reception is free and open to the public. The show runs through October 19, 2018. Bruce creates sculptures that explore the use of everyday objects as abstract architectural elements. Drawing on her architectural background, the former interior designer also investigates the use of geometric forms; constructing molds from matt board, clay, and tin. Whether casting with found objects or blending and layering colored encaustic; Bruce creates singular pieces that are in and of themselves, miniature works of art. Then subverting expectations she mounts the sculptures on a vertical plane, grouping the pieces into installations that utilize negative space to create balanced and harmonic visual dialogues. 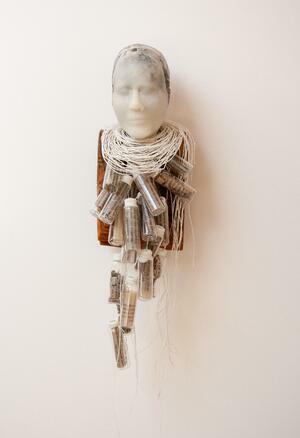 In this way she seeks to convey the architecture of the group that, as a whole, transcends the sum of its parts. Kim Bruce studied fine art at The Alberta College of Art & Design and The University of Calgary from 1989 to 2002. Her formal education is in Interior Design where she received her diploma from Mount Royal University in 1977. Kim, a native Calgarian, has been published in The New York Times in conjunction with a group show at the R & F Gallery in Kingston, N.Y., and the exhibition catalog from the Grassi Museum in Leipzig, Germany. She has also been reviewed in See Magazine, FFWD Magazine and The Gauntlet. Founded in 1908, Coker is a bachelor’s and master’s degree-granting institution and competes in 24 NCAA Division II sports. 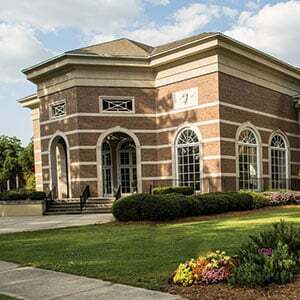 Coker is ranked among the "Best Colleges" in the South by U.S. News & World Report as well as The Princeton Review, and by Washington Monthly as a “Best Bang for Your Buck” college in the southeast.